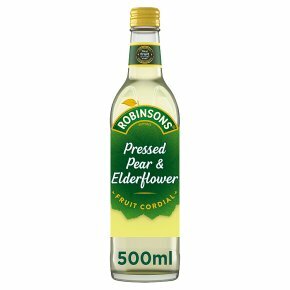 Concentrated Pear and Elderflower Flavoured Soft Drink with Sugar and Sweetener. Sweetened from natural sources with no artificial colours of flavourings, with real fruit in every drop. Best served with ice and a slice of cucumber Shake well.